James Toseland managed to knock a second off his best Sepang time today despite battling with a chronic rear tyre chatter problem on the Tech 3 Yamaha YZR-M1. The double World Superbike champion logged a best time of 2.02.276 to set the 11th best time of the day, though he was much closer to the faster times despite severe chatter problems. Toseland's best time was only 1.137s slower than pacesetter Randy de Puniet, who again topped the timesheets with a best lap of 2.01.139 set on a Michelin qualifying tyre. 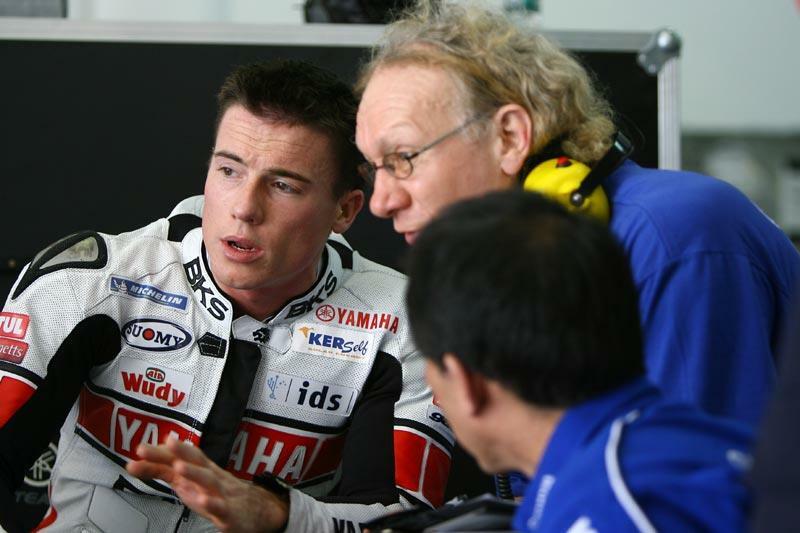 Today saw Toseland complete his longest run to date on a MotoGP bike, with the 27-year-old completing 18 of a planned full 21-lap race simulation. He started the simulation just before 12.30pm as track and air temperatures soared again, and managed three laps in the 2.02 bracket with a best of 2.02.643 on his fourth flying lap. The chatter problem that dogged him during the entire day then struck again, but he still ended day two faster than Chris Vermeulen, Anthony West, Toni Elias and Marco Melandri. And he was just 0.007s slower than 2006 world champion Nicky Hayden. Toseland will get to try a new electronics package including traction and engine braking control systems tomorrow to see if he can dial out some of the vibration issues with the rear tyre. Toseland told MCN: "I was going to do a full 21-laps but I ran wide at one corner and went to the edge of the track and I thought that was enough. I've gone a second faster and I'm still in roughly the same position but I'm a lot closer to the front. "I had really bad chatter all day. The problem is the quicker you go the worse it gets. Colin (Edwards) had a new engine braking system and traction control and he said it cured quite a bit of the chatter and I'll try that tomorrow because I've been doing pretty well, so we'll see how that feels. "But after three laps this chatter is just unbelievable. I knew it was coming and when it did and it's just a speed limiter, you just hit a wall. There is just no getting through it. Entry to corners is really bad, particularly the fast corners and the more you push the worse it gets. "At times it unbearable and it was that bad I couldn't hold the throttle still. The line on my data compared to Colin's couldn't have been more up and down. I'm really pleased we are doing low 2.02s with all the problems I've got. That's quite encouraging really and with less chatter I think I can comfortably break into the 2.01s."